Steve Gallop is a Doctor of Optometry. 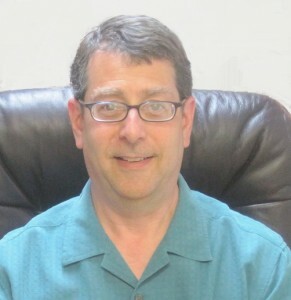 Dr. Gallop was left wanting more after completing his formal education at the Pennsylvania College of Optometry in 1989. He decided to seek out the elders in behavioral optometry in order to gain as much first hand knowledge as possible from the finest thinkers and clinicians. He felt this would offer the best opportunity to learn directly from those who had been influential in developing the philosophy and techniques of behavioral optometry. Dr. Gallop spent time with Dr. G.N. Getman, a pioneer in visual development who worked with Dr. Arnold Gessell – the father of child development research in America. Dr. Gallop also spent time with other pioneers in behavioral optometry including Dr. Robert Kraskin, Dr. Harold Wiener and Dr. Martin Kane. Some years later Dr. Gallop also joined the Behavioral Vision Project study group, which included such giants in the field as Dr. Gregory Kitchener and Dr. Paul Harris. Dr. Gallop has had extensive experience with vision enhancement training (vision therapy), both as a doctor and as a patient, having greatly reduced his own nearsightedness as well as improving his overall visual abilities thanks to his time as a vision therapy patient. Dr. Gallop obtained his undergraduate education from Temple University, graduated from the Pennsylvania College of Optometry in 1989, and received his Fellow from the College of Optometrists in Vision Development in 1992. He published Looking Differently at Nearsightedness and Myopia: The Visual Process and the Myth of 20/20 in 2002. Dr. Gallop continues to devote considerable time to continuing educational pursuits via regional, national and international conferences. He also participates regularly in study group meetings as a member of the Clinical Coursework of the Behavioral Vision Project. I have worn glasses or contact lenses due to nearsightedness since the age of eight. I was also considered a behavior problem throughout my school career. In the current school environment, I would likely be put on Ritalin. After a ten year sabbatical from school I decided to become an optometrist. This meant completing almost three years of college before a four year program in a college of optometry. One of the primary reasons for doing this was my belief that glasses were horrible nuisance in my life. This created a desire to rid myself and many others of this torture. Along the way, I found that I had a problem getting my eyes to work together properly. It is likely that this problem had been present, and worsening for many years. With what I now know I would wager that this problem preceded my need for glasses. This is a very common scenario. I pursued vision therapy for two reasons during my years in optometry school. First, I felt it would be improper to put anyone through a vision training program without knowing firsthand what it was like. Second, I had decided that there was something wrong with the way my eyes were working, and I was curious to see if this was true, and if improvement was possible. I went to a behavioral optometrist for an evaluation. I was told that my eyes were not teaming properly. This explained many things I had been experiencing over the years. Perhaps most remarkable to me was the realization that this explained why I avoided reading during all of my primary education. This eye teaming problem also explained why I struggled so much with sports like baseball and basketball, which require high-level eye/hand coordination. Why, with all the eye exams I’d had over the decades, had no doctor ever done anything other than make my glasses stronger? One of my earliest and dearest mentors within behavioral optometry, Dr. Robert Kraskin, brought out a concept that was both foreign, and at first repulsive to me. This concept required me to accept that just about everybody should be wearing glasses. I thought to myself, now just a minute, my mission was to remove these horrible devices from the face of the Earth. Once I became familiar with all the factors at the heart of this concept, I was left with no other choice but to embrace this approach and all that went with it. There I was, prepared to do battle with my sworn enemy - artificial lenses, only to learn that they were, in fact, one of the greatest tools available to help people achieve greater comfort, awareness, productivity, and visual stamina. These lenses are not prescribed the way most lenses are. Moat people wear lenses to cover up a defect in eyesight. The idea Dr. Kraskin described was to prescribe lenses to stimulate the brain in ways that helped improve the whole visual system. (You can find out more about this on my blog.) I did not embrace this philosophy out of blind obedience. This new way of thinking grew out of extensive reading, hours of lectures and personal communication with some of the giants in the field. I also gained invaluable personal experience as a patient, and professional experience in caring for people in various stages of visual distress. Very few doctors are interested in this more creative, more therapeutic approach to using lenses. My passion and dedication to behavioral optometry has developed from the ground up. Though my visual struggles early in life were significant obstacles in many ways I suppose they were a key factor in helping me to be where I am today. I am grateful for the opportunity to help people in a very special way, through the gifts of behavioral optometry. Dr. Gallop practices in Delaware County at 7 Davis Avenue, Broomall, PA 19008; conveniently located for those in Ardmore, Bryn Mawr, Rosemont, Villanova, Radnor, Narberth, St. Davids, Wayne, Paoli, Devon, Berwyn, Newtown Square, Haverford, Havertown, West Chester and much of suburban Philadelphia. Feel free to contact Dr. Gallop with any specific questions you may have or to make an appointment.